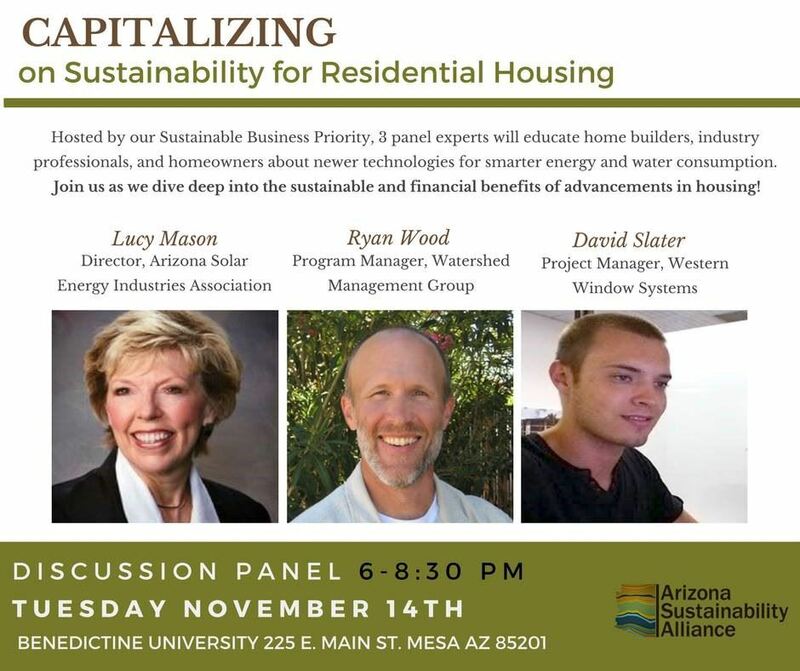 The Arizona Sustainability Alliance presents its second discussion panel hosted by the Sustainable Business Priority. On the panel are three experts to discuss newer technologies around smarter energy and water consumption. They will help to inform and educate how home builders, industry professionals, and even homeowners can succeed in decreasing their environmental footprint while building the future that we'll live in.